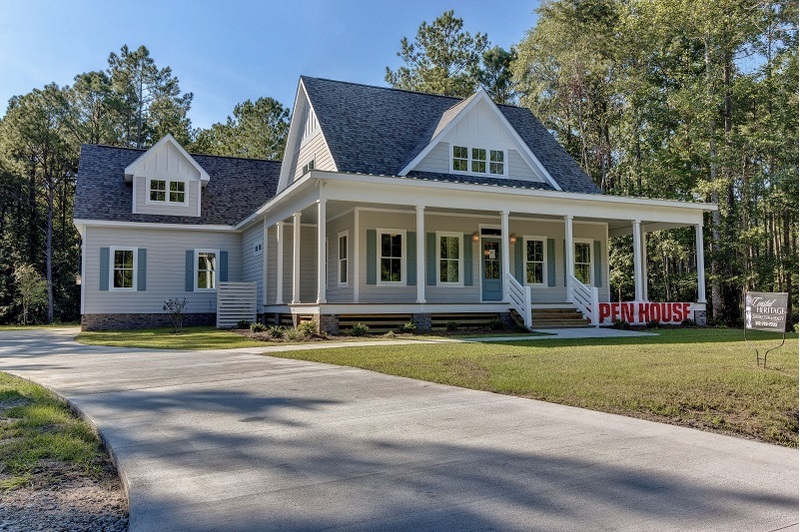 The Carolina Cottage model, now the Vogt residence. 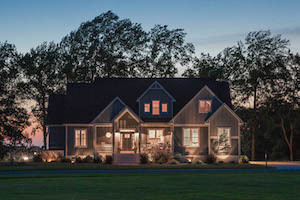 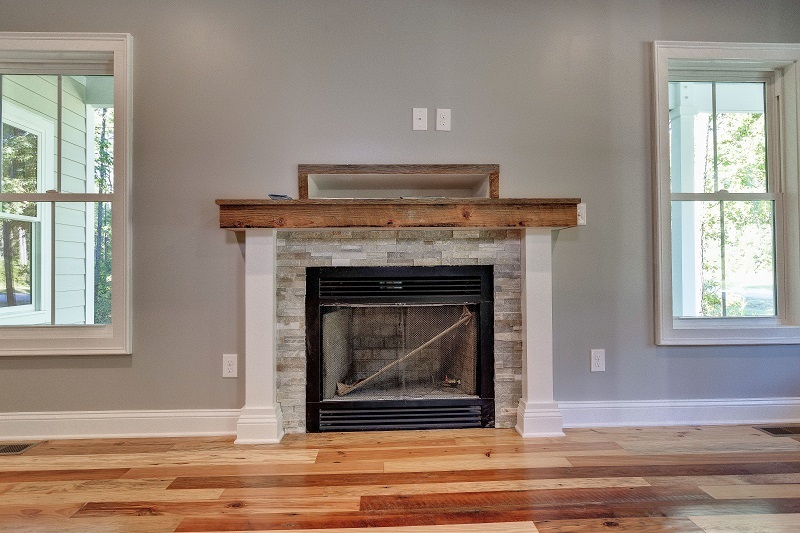 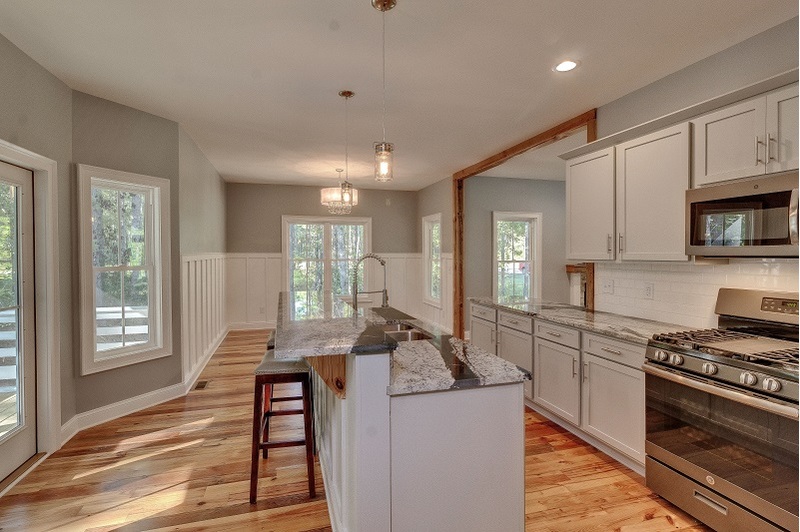 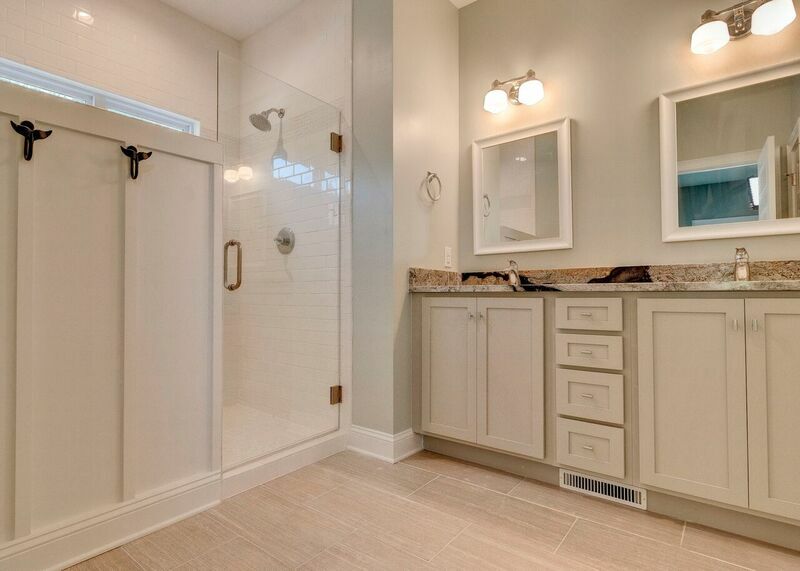 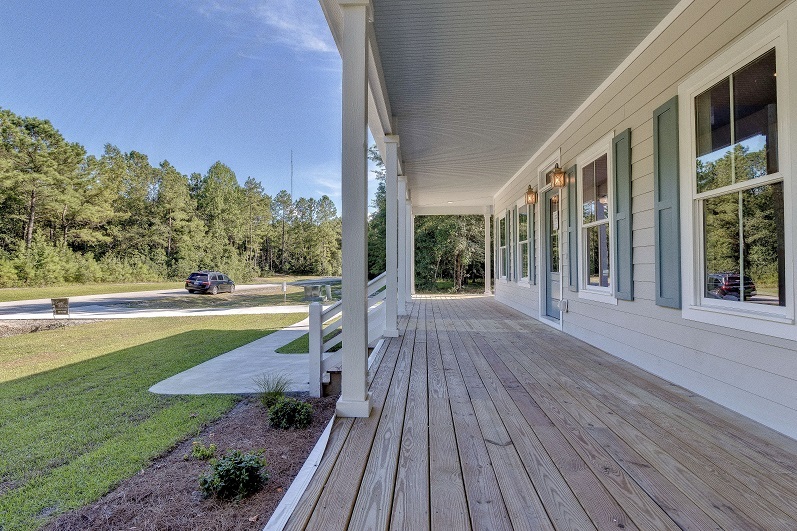 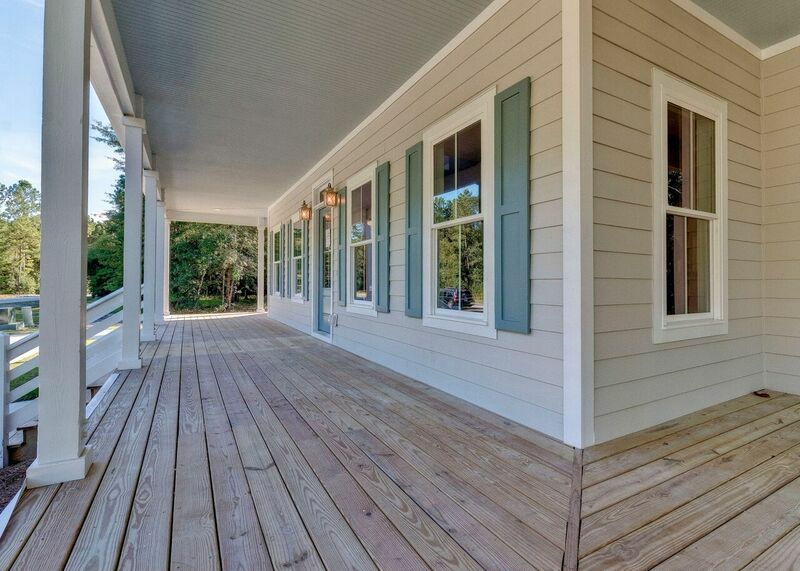 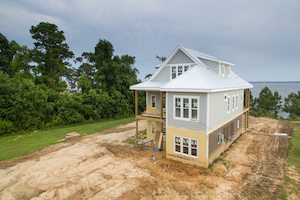 The brand new Carolina Cottage is the perfect blend of farmhouse meets modern amenities. 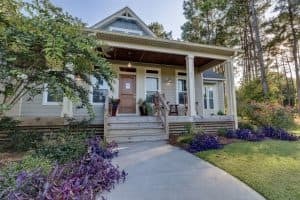 The exterior has major curb appeal with a brick foundation, a 3-sided wrap around porch with a metal roof, a side load 2 car garage and a bonus room above AND a landscaped yard. 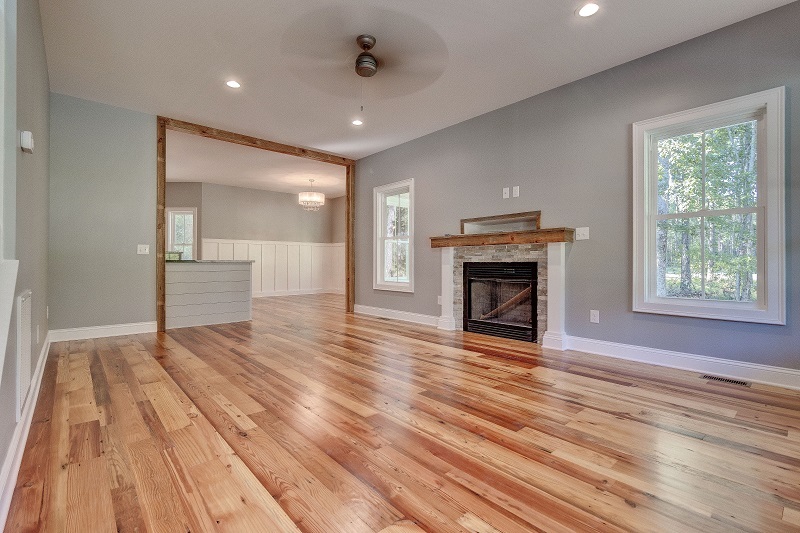 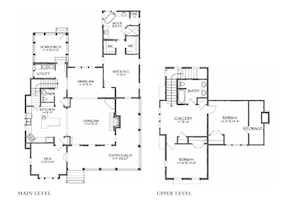 When you walk in the front door, you'll see a spacious open floor plan with 9' ceilings and unique details like a large opening to the dining/kitchen cased out in wood. 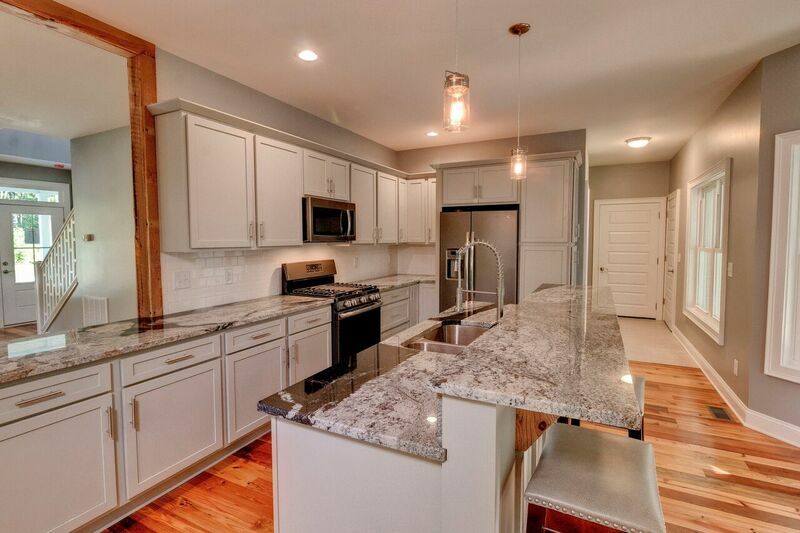 The kitchen is completely upgraded with custom cabinetry and stainless appliances.